This past summer I had the opportunity to travel to Iceland as part of the Global Renewable Energy Education Network’s (GREEN) 10-day program in Renewable Energy & Sustainability. GREEN organizes educational adventure workshops in a number of unique locations including Iceland, Costa Rica, and Peru. The trips are focused on a central theme such as Renewable Energy or Water Resource Management, and are open to undergraduate and graduate students from around the world through a competitive application process. The registration fees cover all expenses except the flight and even though the cost might be steep for a student budget, there are plenty of funding opportunities to explore through your university’s financial office. Feel free to email the GCI if you’re interested and want to know more! Iceland is as interesting to learn about as it is beautiful to explore. And that’s a lot. Iceland is an amazing place. The country is completely isolated on a volcanic island in the mid-Atlantic and has a population of just over 300,000 or about the same as a few large sports stadiums packed together. As such, it tends to lead the world in per capita categories; for example Iceland has the most tractors per acre of arable land, but the second least amount of actual arable land of all countries that practice agriculture. More relevantly, Iceland is a global leader in renewable energy, supplying approximately 80% of its total energy demand from renewable sources. The country has abundant geothermal and hydroelectric resources that are used for heating and electricity generation respectively. In fact, the only fossil fuel burned in Iceland is the gasoline used to power everyone’s cars! A geothermal plant in Iceland. 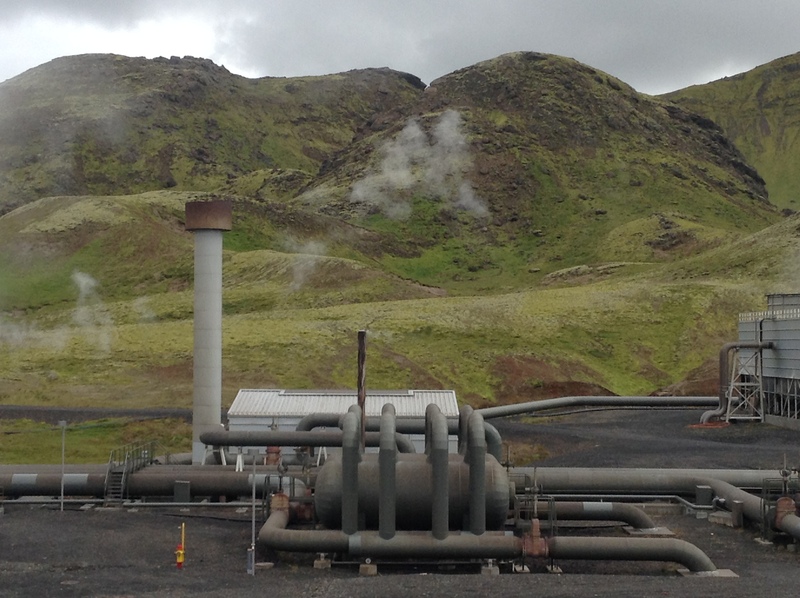 As part of the program, our group got guided tours of two geothermal and hydroelectric power plants and two days of energy lectures from professors at Reykjavik University’s School of Energy. We were also invited to a reception by Iceland’s President, Olafur Grimsson, where we discussed global renewable energy policy and how we might be able to implement some of the lessons learned in Iceland when we return to our home countries. At the end of the program, we developed innovative Capstone Projects and got feedback on their feasibility. And that was only the educational aspect of the program! 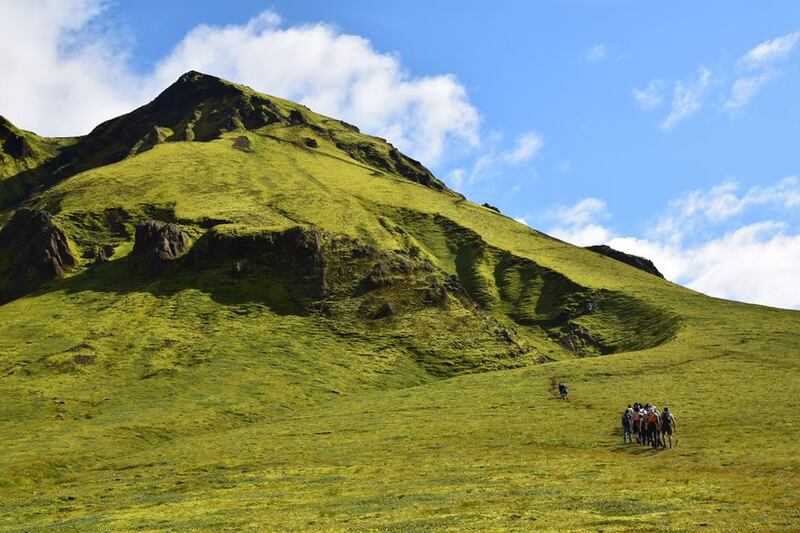 When not working, we took advantage of Iceland’s stunning natural beauty, doing everything from soaking in hot springs to hiking on glaciers. I’d like to conclude by saying that I only became aware of this fascinating program by being part of the GCI. As we’ve become more established and started getting more recognition outside of U of T, we’ve received many new opportunities for our members to get involved in outside initiatives. This has helped us expand our knowledge of sustainability, and helped us professionally by introducing us to many new contacts. To students, this is hugely helpful and I encourage anyone with an interest in sustainability to get involved in any initiative that tries to lessen our impact on our planet. And try to go to Iceland. You won’t regret it. This entry was posted in Green Initiatives, Peter Mirtchev and tagged Iceland, Renewable Energy, Renewable Energy & Sustainability. Bookmark the permalink.